Between taking care of the household, the kids and the pets, computer care is probably one of the last things that you think of doing on a regular basis. Without a regular maintenance schedule however, you could find out (the hard way) that a neglected computer is an energy hog - one that works harder than it needs to and one that could be a financial burden to replace. Let's talk about maintaining hardware. So much emphasis is put on maintaining a computer's operating system that we sometimes forget how important it is to maintain a computer's hardware components. 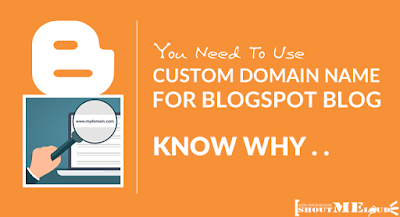 Since there can be quite a few components to take care of, let's talk about the most important one. The most important component of a computer's hardware system is its fan. The fan is located on the computer's CPU unit and when that thing gets clogged with dirt and dust, it can run down a computer faster than you can say, "Something's wrong with my computer and I don't know what it is!" 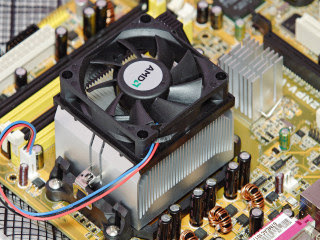 In short, the fan is responsible for keeping a computer's motor cool and this motor is what keeps the computer's hard drive and peripherals functioning the way you need them to, which translates to "fast." A dirty fan doesn't rotate fast enough to keep that motor cool and a completely clogged fan just stops rotating altogether. This causes the computer's motor to work harder - and a harder working motor can raise the electric bill! Worst case scenario: the motor can overheat and stop working as well. No motor equals no computer. Keep your computer's fan clean by preventing the fan from getting dirty or dusty in the first place. Use the computer in a dust-free environment and never smoke around it. 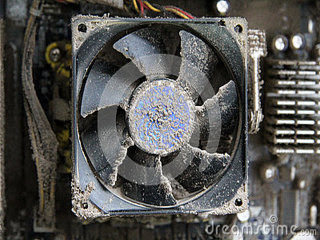 Nicotine and tar mean certain death when it comes to computer fans, however should you find a need to clean the fan, do so with extreme care. It's quite easy to cause more damage from cleaning so if you're not comfortable with cleaning your PC yourself, take it to a shop for servicing. Otherwise, you can unplug and disassemble the computer to do it yourself. You'll need a can of compressed air and an anti-static rag to remove stubborn clumps of dust. Hold the can perfectly vertical and spray the fan being careful not to spray the dust off the fan onto other sensitive parts of the computer like circuit boards or inside the motor casing. Wipe up remaining dust with your anti-static rag and then reassemble the computer. One thing that you certainly don't want to use to remove computer dust is a vacuum cleaner. Although using a vacuum cleaner seems to make more sense, the strong suction of a vacuum cleaner can actually spark damaging static electricity or dislodge loose cables. You also don't want to use oil-based cleaners. Although Pledge may dust your wooden tables and cabinets to a perfect shine, the oil inside a cleaner like this will erode sensitive computer parts. Stick to a liquid-free dusting method and your dusting routine will be safe enough to repeat as often as you need. As previously mentioned, preventing dust from entering the computer is extremely important and will reduce the need to open and dust your system in the first place. The severity of outside elements (smoking, humidity, pets, etc.) will ultimately determine how often you'll need to de-dust your machine. But as an average, you shouldn't need to perform this procedure any more than once or twice a year. The entire exercise should take no more than twenty minutes tops and once complete, you'll immediately see and hear the difference in your machine. The computer's keyboard and mouse will run more smoothly, hardware won't take as long to connect, and the entire machine won't be as loud as one that's corroded with ugly dust bunnies. Hi Raylin. If you are leaving your computer for a period of time, it is best to keep it in a cool and dry place that is completely FREE FROM DIRT and DUST preferably in its original case/carton or in a box.